With the University year coming to an end, its time to think about next year. Some might be lucky enough to have enough money to move into a new home right after University. Others might have move back in with their parents again. 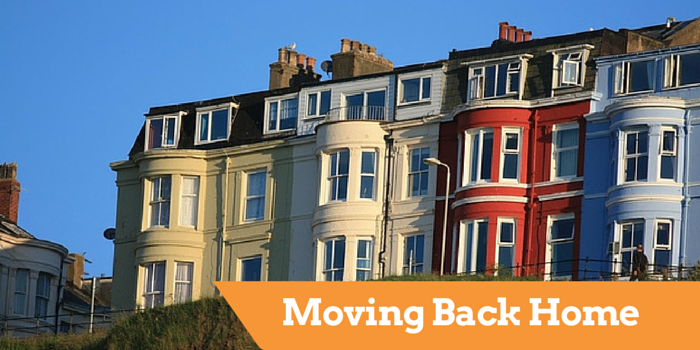 Set a realistic goal of when you believe you will be able to move out of your parent’s home. Talk to your parents about your plans for moving out, they will help you to get back on your feet. You have to understand that things will change and the time frame you originally planned may change over time. A great way to speed up the process of moving back out from your parent’s home is to get yourself a job as soon as you are home. Even though it may not seem like it, there are plenty of jobs out there for those who are not fussed. These jobs can be temporary until you look for something you prefer. When coming back home you will need to understand that you will not have as much freedom you once had at University. Your parents will have some rules for you to follow, such as curfews and inviting people round. Paying housekeeping fees will help your parent’s out and also keep you in the habit of paying bills and money management. Coming back from University you will sometimes be a different person. Redecorating your room and getting rid of old possessions can help you not go back to feeling like a child. You don’t need to get rid of everything from your old room, a new coat of paint and getting rid of some unnecessary items can transform your room into a new place for you to relax. If you still have some of your things from your University house, putting them into storage will keep them safe while you save for your own home. Items like cutlery, crockery and any larger items can be saved and used for your next home. Having your parents there to take you back after University is a great thing to have so remember to appreciate them and respect them for helping you out while you get on your feet and into the real world.